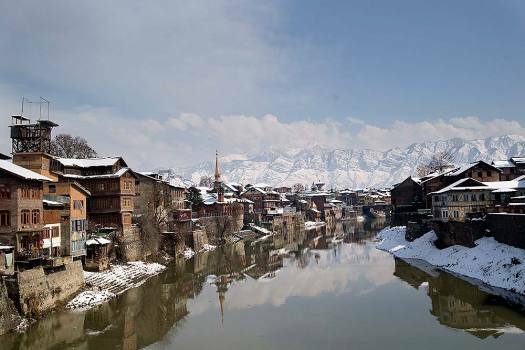 Snow-covered houses stand on the bank of the River Jehlum in Srinagar. 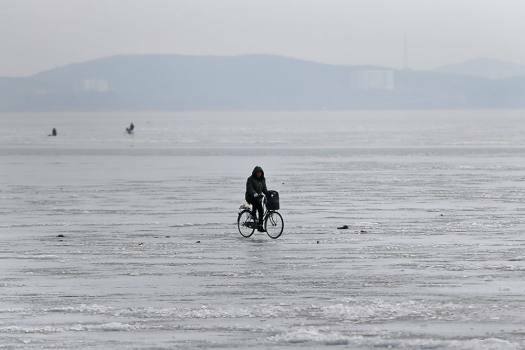 A North Korean man rides his bicycle on the frozen Taedong River in Nampo, North Korea. 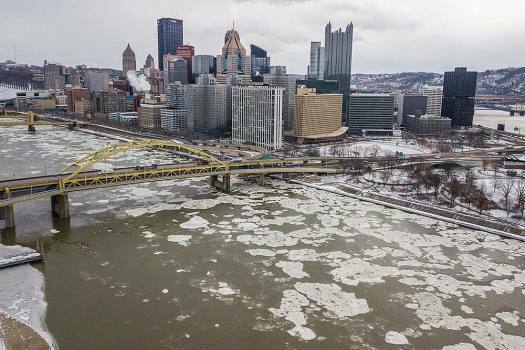 Ice flows down the Allegheny River toward the Ohio River in Pittsburgh. 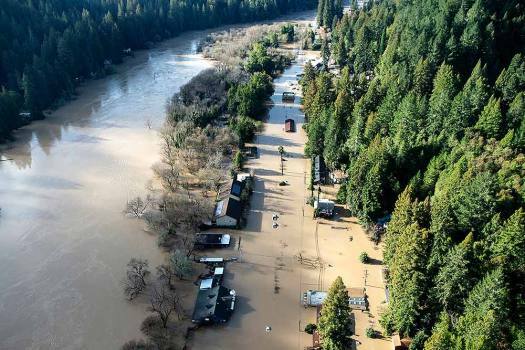 Dangerously low wind chills closed many area schools and government offices. 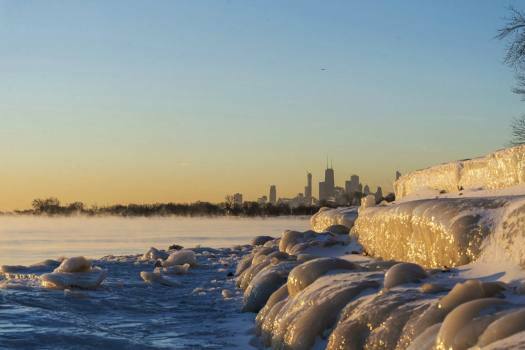 Chicago's lakefront is frozen over. The National Weather Service had a wind chill warning for counties in northwestern and north central Illinois. 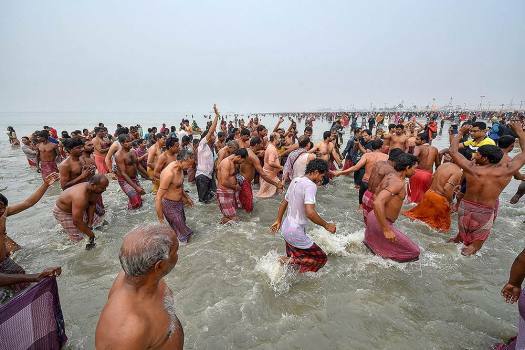 Devotees and their Gurus (religious teachers) arrive to take a holy dip in the water of River Ganga on the occasion of Makar Sankranti at Sagar Island, near Kolkata. 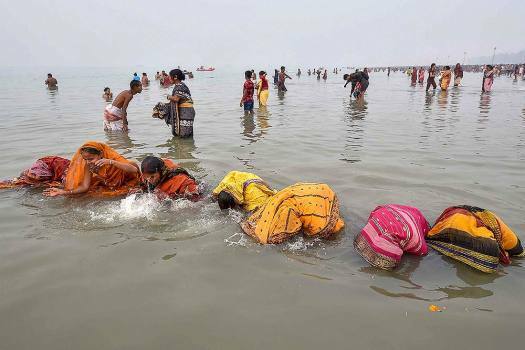 Devotees take a holy dip in the water of Ganga River on the occasion of Makar Sankranti at Sagar Island, near Kolkata. 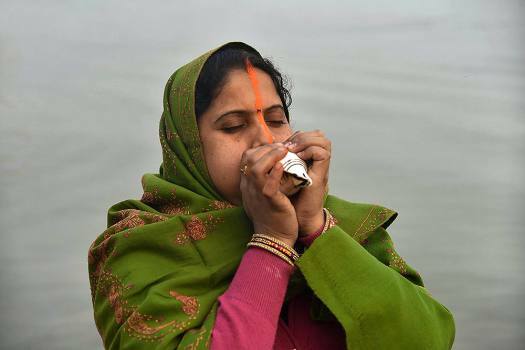 A devotee blows a conch shell as she offers prayer after on the occasion of Makar Sankranti, in Patna. 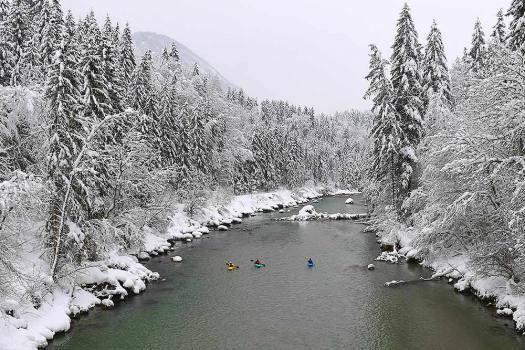 Kayaker make their way on the river Saalach in Lofer, Austrian province of Salzburg. 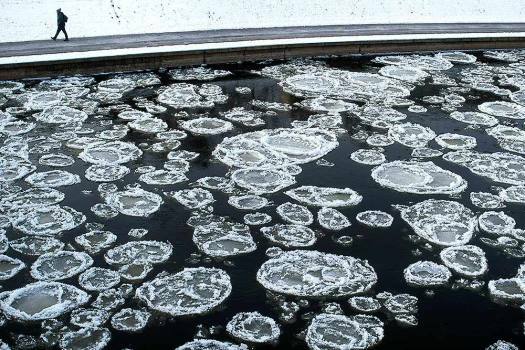 Walter Schirra, of Italy, dives into the Tiber river from the 18 meters (59 feet) high Cavour Bridge in Rome. 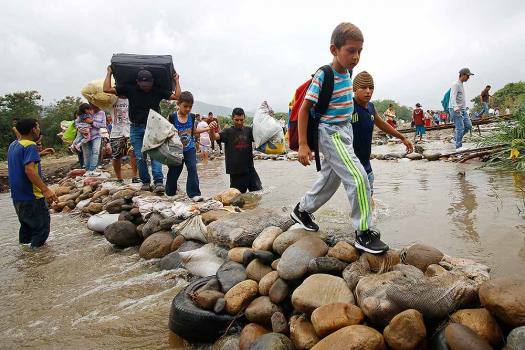 Marco Fois, of Italy, dives into the Tiber river from the 18 meters (59 feet) high Cavour Bridge in Rome. 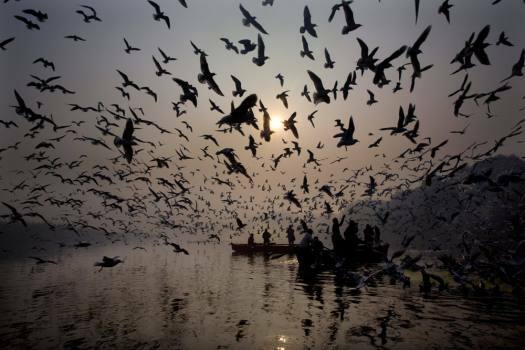 People feed seagulls from the boat in the river Yamuna on the first day of the new year in New Delhi. 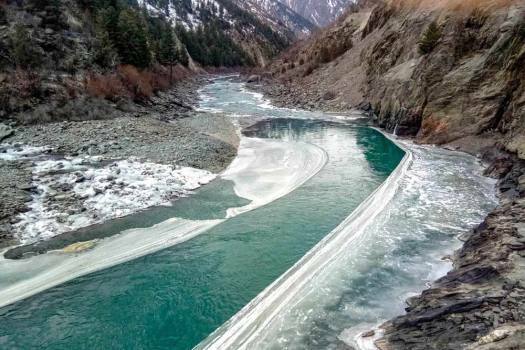 River Chenab seen in semi-frozen condition even after cold wave conditions slightly subsided and minimum temperature increased in Himachal Pradesh, in Spiti. 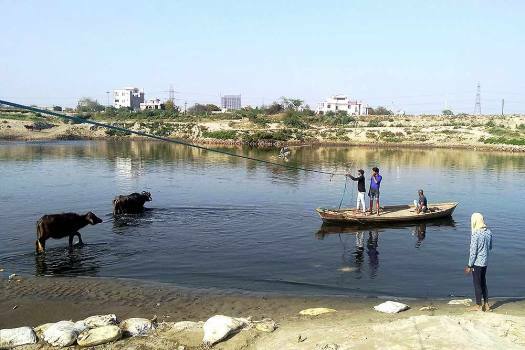 The water level in the Yamuna river continued to rise and stayed over the danger mark for the third day today, officials said. 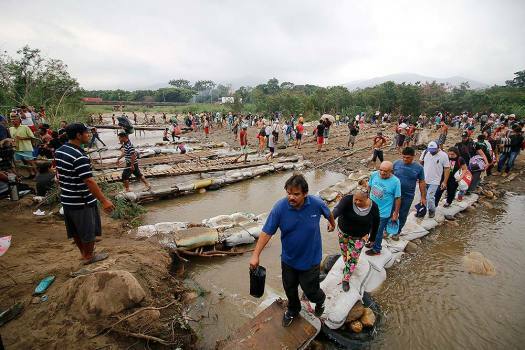 Arvind Kejriwal directed transport minister to make proper arrangements for people living on roads after water from the swollen Yamuna entered their houses. 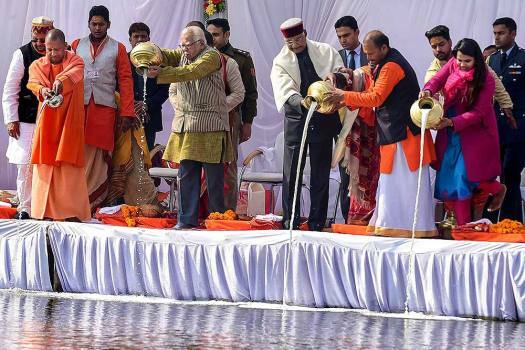 A turn of the seasons and turn of characters mark the gentle passage of time in rural Midlands. 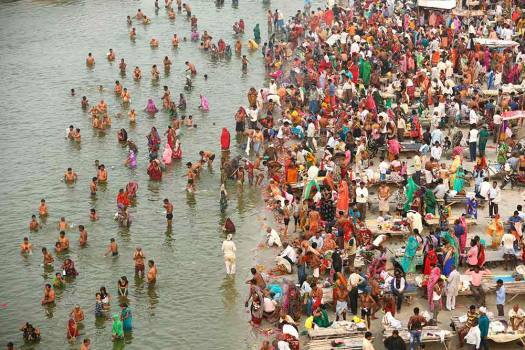 It shows that the pastoral English novel is in rude health.